This project was created on 12/02/2017 and last updated a year ago. 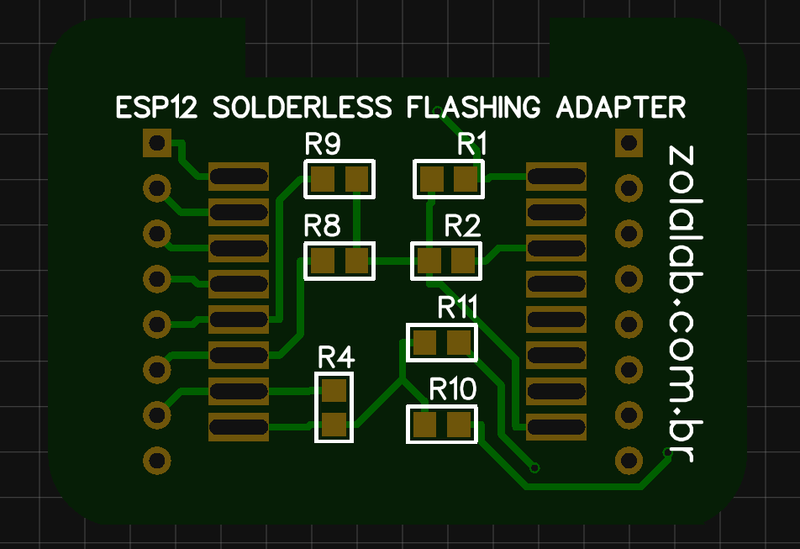 I believe that just like me, many of you have already had to flash a firmware to the ESP-12 before soldering it on a pcb. So I made a video showing how I solved this problem. This is my first view; so, pardon my ignorance of your progress. The pin-set options would seem to route "certified" library routines embedded in firmware, thus allowing visual/tactile block design (flow-charting) -- a far superior human interface for rapid APP development. Concept shows promise for embedded breadboard demonstrations (aerospace, analog /hybrid system diagnostics, low-risk interim patching) -- exploratory surgery without the invasion, and a valuable tool for competitive "design-off". Secure interfacing would allow unclassified development and sharing without disclosure, thus expanding access to 3rd party developers and faster adaptation of off-the-shelf commercial APPs. Since you have a physical air-gap, you also have inherent non-traceability/detection (spyware); and with some enhancements, guaranteed hardness -- an historically frustrating hurtle for advances in EMP-survivable operating environments. That&apos;s why the Minuteman still flies guided by 50&apos;s era technologies (drum and loop memories). My first "tech" job in my teens was in a data processing center in England that included "programming" plug boards. https://en.wikipedia.org/wiki/Plugboard I wheeled around racks of punch cards for sorting, collating, and "computing" (adding, subtracting and printing) maintenance data for military aircraft. Placards for our program boards hung on the wall arranged by report period (daily, weekly, monthly) with colored string pinned to the wall indicating the order-of-pull for each step in a specific report process. Our database was a quonset hut of IBM card boxes, mylar punch tape reels, and tractor-feed green-and-white paper reports, again stored chronologically by periodicity. The advent of magnetic storage devices (tape, floppies, and hard drives) wiped out the punch technology due to obvious space-savings and apparent improved durability -- only to soon learn that magnetic storage media have disturbingly short shelf-lives and are vulnerable to EMP. Of course, real computers erased data calculating machines all together. In 70&apos;s I flow charted a CRT display program (Apple III) to virtually wire a plug board for what we then called NC machining. Never did the coding (Fortran). Seemed like a step back; but, here we are full circle! Lovely. You guessed it; I&apos;m older than dirt. Apologize for the nostalgic outburst. Looks like a fun project with promising applications. Wish you success. Thank you ! Believe, it is very stable. 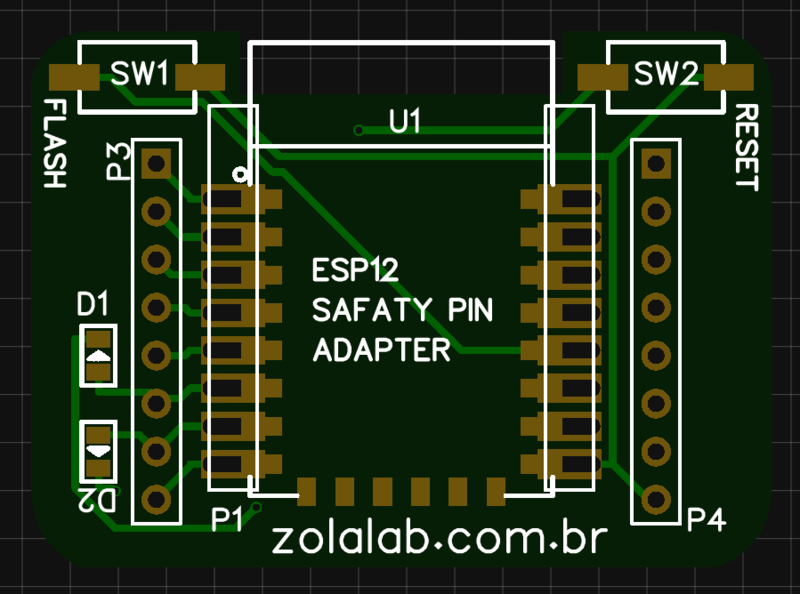 Simple PCB Widget to Upgrade/flash latest firmware SDK into ESP-01 ESP-12. Single PCB, with integrated ESP - 01/12 connectivity. To program or test ESP-12 or ESP-14 before installation, then plug adapter into breadboard and the ESP into adapter. Unplug when done. You are about to report the project "ESP-12 SOCKET ADAPTER SOLDERLESS FLASHER", please tell us the reason.